Unbeaten in his career when standing up to his obstacles, and arrives here with a fresh head of steam. Won a point in Ireland before moving to the Skelton's Redditch-based yard, and fell on his debut in a novice round Bangor. Has made amends since for his connections, picking up a brace of wins at Uttoxeter in December and February. Up in grade now and needs to produce his best. Been handicapping for some time now, winning two of his five hurdle outings - and looked a class apart when scoring at Sedgefield on latest start in early March. That was actually in a Northern Staying Series Qualifier for Novice Hurdlers and he came through cosily, and merits an opportunity to compete in a high-profile contest like this. Jumps up in class and distance - this will be the first time he competes over three miles, and a bit of an unknown quantity with no guarantees. The notably-named Champ ran a blinder in the Ballymore Novices Hurdle at Cheltenham last month, only to be pipped by City Island and Mark Walsh. He was travelling ever so well under Barry Geraghty and jumped smoothly and soundly, and now goes up the gears to tackle three miles for the first time. A star 7yo who has plenty of bright days ahead of him, and will make a fine chaser down the line. Building up a smart consistent National Hunt profile after his point-to-point days; of which he won a 3m contest on heavy ground about this time last year. Successful in a bumper at the second time of asking, he finished third on hurdles bow at Taunton to Zanza and Birds Of Prey, who have both won since. He went closest to Nicky Henderson's Downtown Getaway at Ascot, before his second-placed finish at Ludlow was reversed into a victory after the stewards got involved. Was third in a Grade Three at Sandown latest, but new company and back up to a bigger trip to contend with now. Unfortunate to not land the hat-trick in the concluding race of the Cheltenham Festival, when just touched off by Early Doors in the Martin Pipe Handicap Hurdle. Opted to go there instead of the Albert Bartlett, where his stablemate Commander Of Fleet ran a cracker. This 6yo son of Spanish Moon won the two races before his trip to Prestbury Park at Leopardstown and at Punchestown stylishly. Must go into serious consideration here. Very lightly raced novice hurdler, who has been short prices on both of starts over timber so far and is clearly held in high regard by connections and punters. Won his bumper by twelve lengths when with Margaret Mullins in Ireland, and got off the mark over hurdles at the second time of asking for his new trainer at Ascot latest - but only just. Now takes the climb into top company, but can look forward to a distance he is sure to succeed at down the line if not here. Warren Greatrex - who has the returning La Bague Au Roi at the Aintree meeting, can also be excited over his unbeaten novice hurdler Emitom. Five from five for the Lambourn trainer, after scoring handsomely enough at Newbury at the beginning of March. His racing schedule took a bit of switch with the equine flu saga, but back on an even keel now and ready to fire at the top level. Should certainly be a horse to fear. Go Another One will surely be looking to add 'another one' in the form guide, having been in excellent form this term, stringing together many top performances. He has not been outside the top two in his last eight outings, and has been seen aplenty in Britain this season. 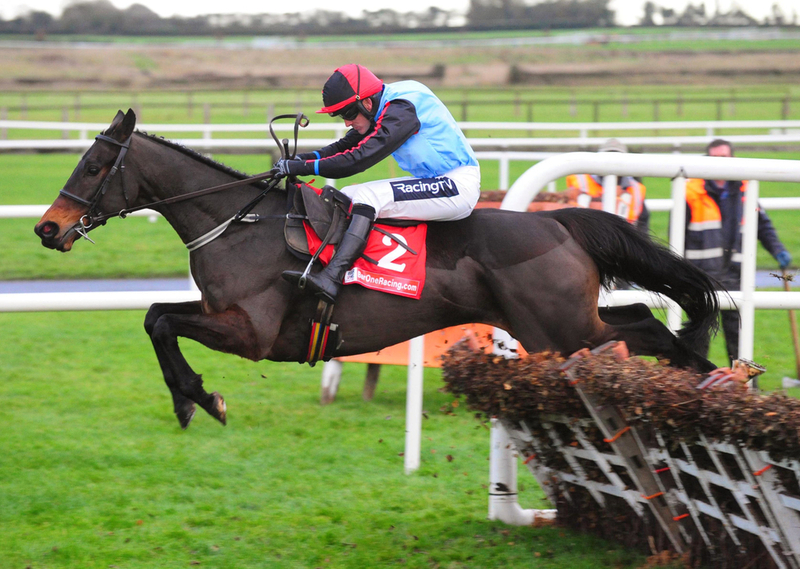 Having said that, his last appearance was at Thurles where he took a Grade Three commandingly, and will need all the luck on his side if coming through this with a similar result. Could be something we have not seen yet. Four outings this term - and despite not winning in any of them, he has been knocking at the door. His last two attempts have come on the bumpy contours at Chepstow in Wales where he finished second in both, but this represents a totally different challenge for a yard that are struggling for form of late, aside from Bristol De Mai's place in the Gold Cup. Very well fancied for the Albert Bartlett last month in a race that is usually upset by a big odds winner - and was again this term, but still ran with great credit to finish fifth. Clearly could not contend with the hill at hand and finished at the one-pace, but will not have to worry about that at Aintree. Had won two nice races for Rebecca Curtis at Chepstow and Haydock prior to that, so has to go into consideration as one of the more 'likelier' winners. Ben Pauling also has The Captains Inn, who like field rival Geordie B, arrives at Aintree in search of an unlikely hat-trick. This 5yo landed the odds at Uttoxeter after his 20/1 success at Leicester back in January. Remains lightly raced, and owners feel they can go anywhere with this horse. Lightly raced 6yo son of Oscar who is a sibling to several staying winners in the National Hunt scene - including Oh Highly Likely and Pateley. Was fourth on hurdles bow at Ascot when showing some promise when knuckling down to his task under Sam Twiston-Davies, before putting that to good use at Wincanton latest. Won with plenty in hand and stayed on strongly, and a step-up in trip can only be considered a positive. Rough 14/1 shot, who has to enter calculations given that he is two-from-two in his career, and could be smart. Victorious in a point over three miles at Ballindenisk in Ireland back in December, before an easy victory in a maiden hurdle at Thurles in March. Late improver - late on the scene overall, and could be something special in colours that also will be looking forward to the return of Press Conference, who looks a useful three-miler. Walk Away could certainly do that to his opposition if handling the pressure in this top affair.